The practice of web design is not just about crafting something out of nothing. Many times you’ll work with clients or personal projects that already have a foundation, but just need an overhaul. Every stage of the design process is similar but requires a different level of detail. In order to structure a new concept from an old design you’ll want to keep everything that works and avoid everything that doesn’t work, or just avoid things which don’t add value. Learning how to properly redesign a concept is important to the success of that redesign. If you’re continually changing the layout it will eventually become a stressful and loathsome task. You should avoid incessant redesigns and strive towards quality instead of quantity. I do hope these tips and ideas will offer a balanced approach to crafting fresh website redesigns. When planning a new design there are two major points of interest: user experience and content. The redesign process is an explorative journey where you can try new design ideas and concepts in real-time. If something doesn’t work or seems confusing just move onto your next idea. Content is the reason why people visit a website in the first place. They want to access videos, read an article, or update their profile status. Your job as a designer is to organize content so that it’s easy to read, easy to navigate, and offers simple interaction. Place a focus on content and how content should be structured. Try making a list of all the website’s content ranked from most-to-least important. 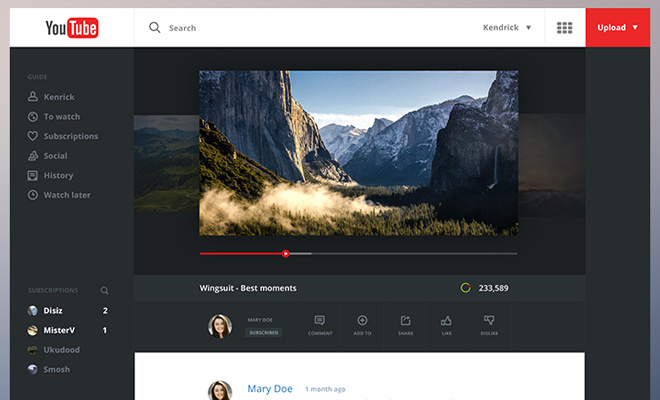 This YouTube redesign created by Aurelien Salomon shows a much quicker and simpler method of accessing video media. Granted there are no suggested videos which are a big attractor for people on the site – but overlooking that detail it really is fantastic. The video player is super easy to use and I really like the contrast between dark and light. Also the sidebar has plenty of room for additional links if a user has dozens of subscriptions. While this may not be the pinnacle of redesign concepts, the one thing it does correct is place content above everything else. 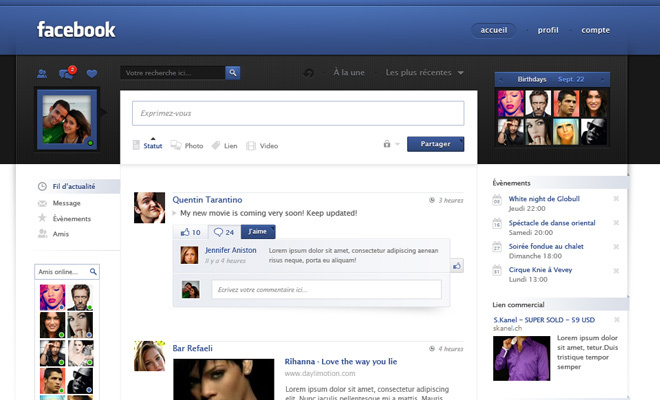 I also really like this Facebook redesign built by Jonathan Moreira. It has practically everything you would expect on the Facebook homepage, but everything just feels a lot more organized. The current FB layout uses too many bright colors which tend to wash away into a sea of vague elements. The dark header stands out in a crisp, distinct manner. This may conjure a difference of opinion but I am a huge fan of simplicity and minimalism. It doesn’t work for every project, but in most cases while working on a redesign you can fix existing problems by stripping out all the junk. What you’re left with is nothing but the critical elements mandatory for a usable website. I’ve been using PayPal for years and their most recent update has really been difficult for me to adapt. The PayPal redesign concept above created by Budi Tanrim is simply fantastic. White, minimalist, and stripped clean without any extra frills. All of the links are so easy to read and it looks like a beautiful and easy-to-use layout. 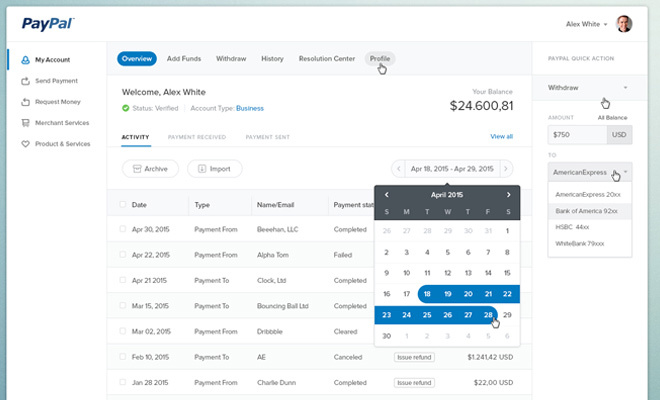 In fact, this PayPal redesign might be my absolute favorite example. I think Budi did everything right with a unique design without compromising the concept. 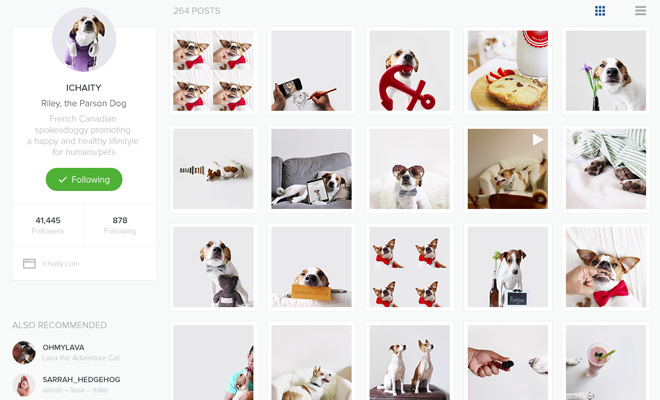 This Instagram redesign by Pavel Knyazev is just another terrific example of simplicity in action. The concept is to focus directly on the photos – most people are solely interested to check out people’s photos and nothing else. But the extra features located in the left sidebar are a welcome addition to the design. In fact I don’t think Instagram has ever built a “recommended users” section on their website or mobile app. This design breaks new ground by adding cool functionality while keeping the spotlight where it belongs. Kudos to Pavel! When crafting a new layout style & color scheme it’s a good idea to stick with the original branding. Unless you’re hired to rebrand the company or just feel that it needs a newer design, rebranding is a very detailed process. Just redesigning the website is going to take a lot of energy and patience. I would recommend looking over the current brand design to figure out the most prominent features. What makes their logo stand out? What colors or styles would you use to match that same intensity? Are there any graphics, icons, symbols, or logos that could be incorporated elsewhere in the page? Rather than construct your own unique branding it may be easier to just build onto the existing brand. It’s fine to make slight tweaks as long as you stay true to the original concept. A brilliant example can be found in this Google redesign also created by Aurelien Salomon. All of the links normally found in a horizontal menu have been moved vertically to the left side. Also the search results are cramped into a central column with additional results in a right-hand column. Personally I think there’s room to expand on this design because while it is good, I feel it’s much too cramped. People who use Google like how the search results look as they are now. But putting aside the dramatic interface changes, this redesign is a perfect example of sticking with the brand. It uses Google’s flat Material design combined with their original colors to blend into a minimalist wonderland of magnificence. Expanding onto the design is a huge part of reconstructing a website. But functionality is also important – in fact it goes hand-in-hand with user experience. Instead of just restyling the functionality it’s often worthwhile to add onto the functionality. Spend a few minutes interacting with the current version of whatever site you’re redesigning. Look for holes in the layout which completely take away from the experience. Write them down and brainstorm ideas for improvement. UI design will have a dramatic impact on UX design so it’s important to have a game plan. Think about expanding each layout to add modern features like mobile responsivity. 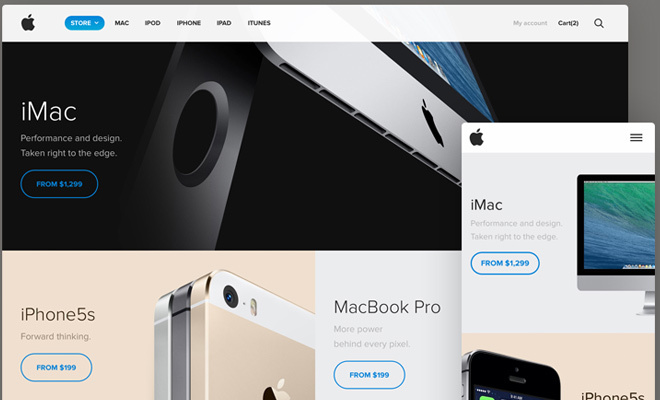 For example the Apple Store redesign by Sebastiano Guerriero holds onto the original simplicity while adding extra features. Other ideas might be to expand upon existing functionality instead of creating your own. If the website’s contact form is shoddy and difficult to use, why not update it? Improve the design and even UX by adding a CAPTCHA field or bigger form elements. You might also try organizing content into a more clear-cut style where users have access to the most important pages. Tanveer Junayed’s Craigslist redesign is certainly odd yet somewhat satisfying. 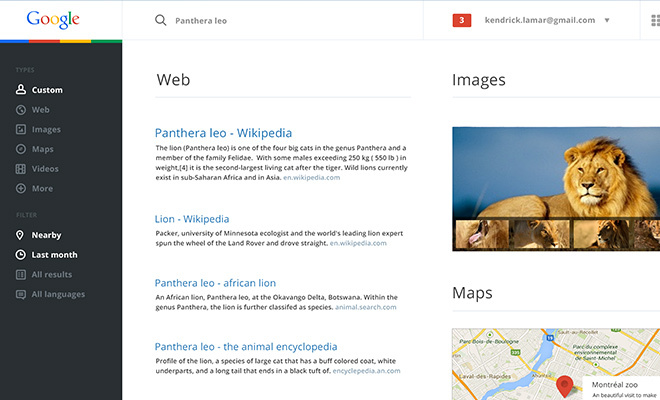 The layout adds a whole bunch of sorting features into the sidebar to improve search queries. 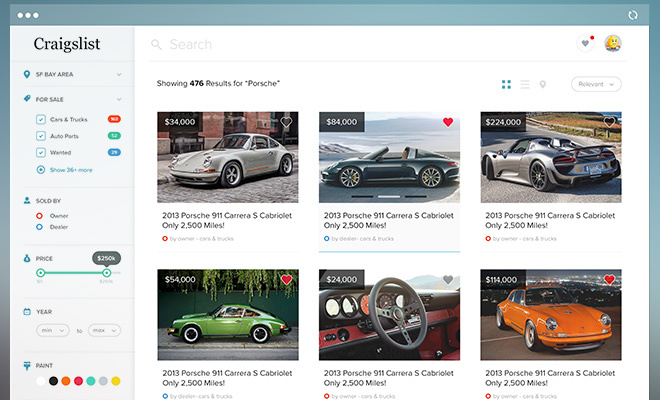 Craigslist is most often used for direct searches and this redesign would significantly improve that experience. Just like everything in the design field, practice makes permanent. If you spend time redesigning websites you’ll build a serious repertoire of skills that can be reused over and over again. Design is a tricky subject because for all the idealistic rules and guidelines, there aren’t many solid answers to the big questions. Much of design is subjective and changes quickly based on the type of project. Start out by redesigning some of your favorite websites and from that process you’ll glean a respectable number of handy techniques.